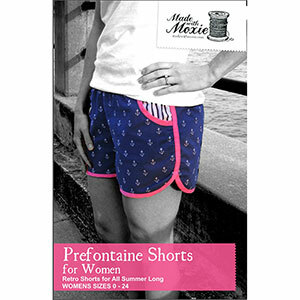 The Prefontaine Shorts for Women are inspired by the running shorts of the 1970s. 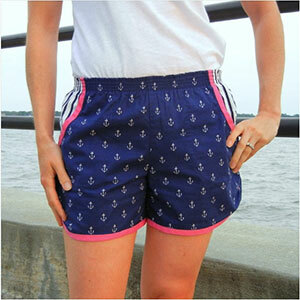 They feature a retro contrast trim and a comfortable sport elastic waistband. Front pockets lie flat and smooth against the body. Back pockets can be patch or welt style and are designed to easily hold your cell phone. 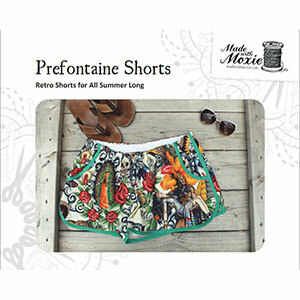 Two inseam lengths (5” and 1.25”) allow you to stitch up modest shorts or shortie shorts. Recommended for beginner to intermediate sewists. 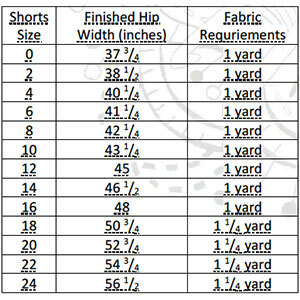 Suggested fabrics are mid weight knits such as cotton jersey, cotton spandex, ponte de roma or french terry. For something different try a light weight woven such as crepe de chine, rayon challis or peach skin. This is a PDF pattern that you can print at home on 8.5" x 11" paper. There is a 3-download limit per purchase so please remember to save your patterns.